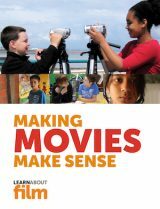 Why use an iPhone for filmmaking? The iPhone makes an ideal stealth camera: nobody really notices when you film with it. But in the right conditions it can shoot really good video. 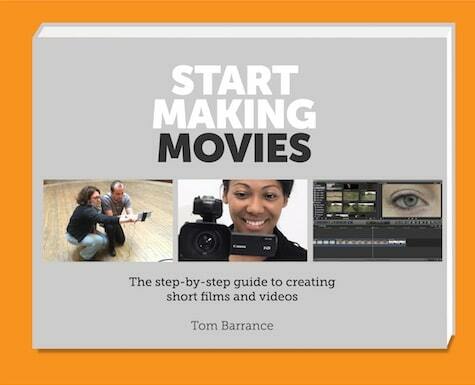 That makes it great for documentaries and guerrilla filmmaking. I’ve just upgraded to a 6S and put together a pocketable iPhone filmmaking kit that I can carry everywhere. You can spend a lot of money on iPhone filmmaking kit, and some of it is big and bulky. If you’re going do do that, you might as well get a ‘real’ video camera. So my kit makes the phone more useful for filming, but is still small and affordable. I bought an iPhone 6S, but if I was buying now I’d also consider the budget iPhone SE which has the same camera in a smaller body. Both phones can shoot 4K, and 120fps Full HD slow motion, unlike the the older iPhone 6. The 6S Plus is even better as it has optical image stabilisation, but it’s bigger. 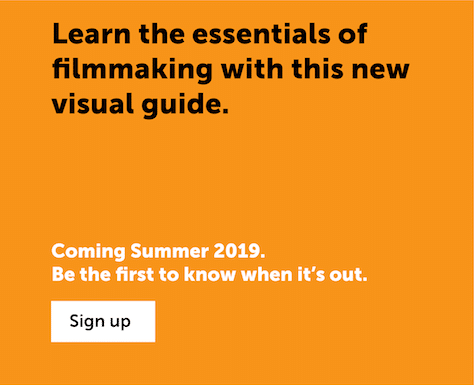 Like most people, I don’t need to make finished films in 4K. But being able to shoot 4K gives me a lot of flexibility. I can slot 4K clips into a 1080p HD sequence, then zoom them to twice the size without losing quality. That’s like filming with a 70-80mm medium telephoto lens. It’s ideal for undistorted ‘talking head’ closeups. Joby’s Gorillapod bendy tripods are neat: you can stand your phone on the table, clamp it to a chair or post, or straighten the legs to use it as a handgrip. A single handgrip under the phone feels more secure than holding it by the edges. 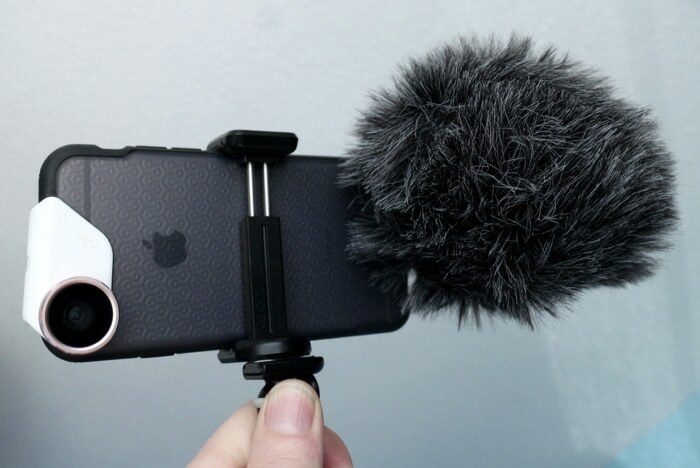 Joby’s little MPod, which holds the phone in an elastic clamp, is really meant as a phone stand rather than a filming aid. I tried it because it’s really small and affordable. It’s OK but not as useful as the Joby Griptight, which holds the phone firmly and attaches to any standard tripod. You can buy the Griptight on its own, or in a kit with a Gorillapod. They also make a video version with a pan and tilt head. Apple’s camera app has some great features – including full quality slow motion, and timelapse, on the latest phones – but it’s a bit limited. Filmic Pro gives you a lot more control. 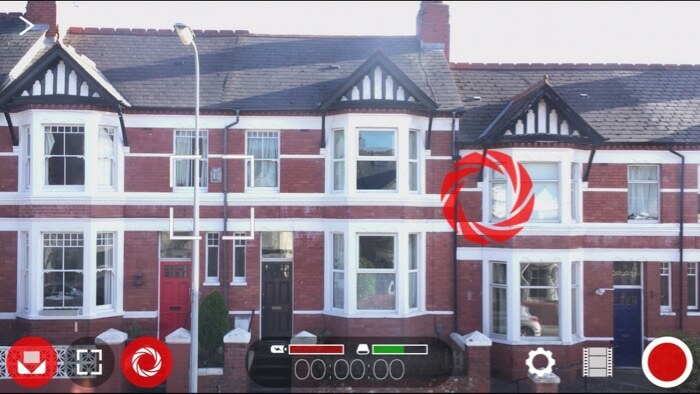 You can set focus on one area of the screen (the square box on the left in the image above) and set exposure separately (the red circle shows that exposure is locked). You can make manual adjustments to focus, white balance, ISO and shutter speed. I particularly like being able to choose really slow shutter speeds (down to 1/5) for shooting in low light and getting cool motion blur. The settings include a wide variety of different resolutions (image qualities) and aspect ratios (screen shapes). Unlike the native app, Filmic Pro lets me choose 25 or 50fps to match PAL (European) frame rates. That’s great for when I want to combine phone video with stuff shot on other cameras. I can also film at higher ‘bitrates’ for smoother video, or turn off stabilisation for a fuller wide angle image. And I can monitor audio on headphones as I film. Generally it’s great, though autofocus seems a bit flaky. The standard iPhone 6 lens is a fairly wide-angle 29mm equivalent. But that’s only when you’re shooting stills. When you film with the native app, it’s more like 40mm, to allow for the built-in stabilisation. The 6S image looks to be the same for HD; 4K is a little wider at around 35mm. These are rather ‘meh’ focal lengths for filmmaking: not wide enough to fit in a full scene, but too short to shoot faces without distortion. As I can use the 4K crop (see above) for closeups, my priority was a wide-angle lens. 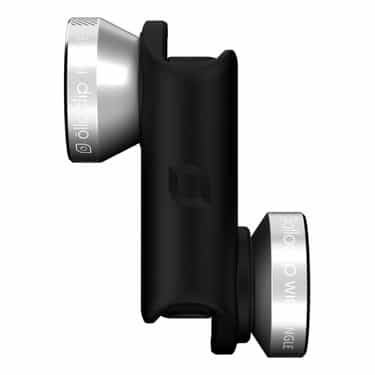 The Olloclip 4-in-1 add-on lens combines wide, fisheye, 10x and 15x adaptors. 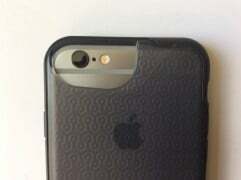 It works with front and back cameras. The wide is really wide: it seems like around 20mm equivalent on video. This is really useful for working in cramped spaces, and for handheld moving shots. As you get wider, camera shake seems less obvious. Going that wide with a pocketable lens means that image quality is a compromise. The lens is sharp enough in the middle but soft at the edges, with noticeable chromatic aberration (coloured fringes). The lens also has strong barrel distortion (straight lines bow outwards). You can disguise this by not shooting things head-on. These issues are less of a problem for video, where you tend to see the action rather than the detail, especially with moving shots. And the iPhone’s video mode crops out the worst of the softness. You need to be careful to line up the adapter so that it’s centred over the camera lens. When you shoot video with the fisheye lens the image fills the screen. But edge softness isn’t really acceptable. I’d only use it for special effects or shooting in really cramped spaces. You also get weird distortion if you use it for handheld moving shots. The front element of each lens unscrews to convert them into 10x and 15x macro adapters. The images from these look really crisp but depth of field is very shallow, as you’d expect. Verdict? I think the wide angle lens is really useful for casual video, and the Olloclip is really convenient to carry around. I wouldn’t use it for serious still photography: for static subjects I’d use the iPhone Panorama mode instead. Samples with the Olloclip 4 in 1 lens. The Olloclip only fits on bare iPhones, or with Olloclip’s own cases. You really need a case as iPhones are easy to drop. Olloclip make two kinds of case. The Ollocase is a ‘bumper’ case with a cutaway for the lens attachment. This helps you to position it accurately over the phone’s own lens. It seems well-made, well designed and good-looking, though it’s a bit expensive. The more expensive Olloclip Studio is a rugged case with clip-on handgrips and mounts for microphones and lights. Olloclip make several other lens sets. The 4-in-1 is the most affordable, and its wide lens is the most useful so it’s the one I’d get. There’s also an Active Lens (GoPro-style ultrawide, plus telephoto), a telephoto/wide/macro/polarising combination, and a ‘pro macro’ version. The Ztylus Z-Prime lenses are much better quality, though a lot less pocketable. They make a 0.63x wide angle, and a 2x telephoto, for the iPhone 6, 6S and Plus models. They’re a lot sharper with minimal distortion. Individual lenses, including a case, are $74.95, or you can get both lenses with a metal case for $149.99. Sound is one thing you really need to get right, and it’s hard to do with a phone camera. You could make life easier by forgetting about live sound and adding audio when you edit. But you can record usable live sound with the iPhone. I bought Rode’s VideoMic Me. It’s a small, good value directional microphone, solidly built out of metal. Usefully, there’s a headphone socket, so you can monitor audio as you shoot (with Filmic Pro, not the native Camera app). It includes a furry windshield for shooting outdoors, which works well but makes it more noticeable. Another option is the Rode Smartlav+ lavalier (lapel) mic. You can even connect two to one phone, and monitor them with headphones, with their SC-6 adapter. You can’t plug standard microphones straight into a smartphone as they have special TRRS inputs. You can use the Rode SC4 adaptor to connect unpowered mics. I used it to connect my Rodelink wireless kit. It’s still a fairly ‘stealth’ setup, as the receiver can go in my pocket, connecting to the phone through a minijack extension lead and the SC4. Video tests with the VideoMic Me and the Rodelink wireless kit. Thanks to interviewee Nigel Bevan. I’ve now made a comparison test of different iPhone microphone solutions. I also carry an Anker external battery with me, as filming runs down the phone battery quickly. All of this kit will fit in my pocket. Adding a Rodelink wireless kit and Sony 7506 pro headphones means I need a small bag as well.